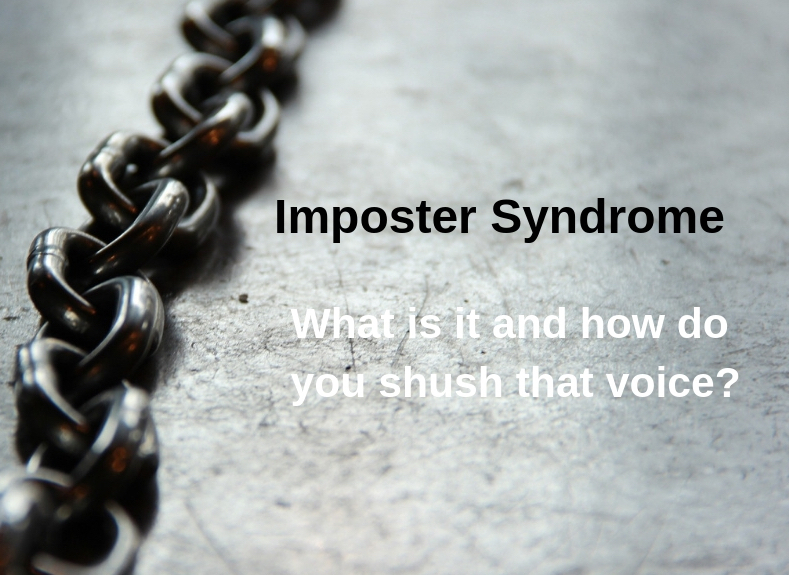 What is Imposter Syndrome and how do you shush that voice? “We want you to be branch manager.” I hung up the phone, those out-of-the-blue words still ringing in my ears. It was 2006, and my department was being outsourced to another financial services company. And now apparently they needed a branch manager. I was thrilled – for a whole millisecond. Then the doubts started creeping in. “They just need a branch manager for legal reasons and I’m the most convenient person to ask. It’s probably in name only. And what happens in a few months when they realise they’ve made a mistake and I’m not cut out for it?” said the little voice in my head. This is Imposter Syndrome – the unfounded fear of being found out. Sufferers don’t attribute promotions and achievements to ability; they assume somebody somewhere has made a mistake, and sooner or later, there will be a hand on the shoulder, and a voice saying it was all a mix-up. So how do you know if you have Imposter Syndrome? You think your successes are down to luck or error, rather than ability and hard work. When you are promoted, you worry that it’s unwarranted. When peers praise you, you assume they’re overestimating you or are being fooled into thinking you’re better than you really are. You find criticism difficult to take, even when it’s constructive, and you tend to over-analyse, focusing on the negatives. You may shy away from challenges because of self-doubt. The irony in all this is that Imposter Syndrome is usually the domain of high achievers, whereas people who really aren’t capable tend not to be aware of it. In fact, there’s an opposing state called the Dunning-Kruger effect, whereby low-achievers have an illusion of superiority. So the next time you wonder if you’re really cut out for that promotion, remember that a little bit of self-doubt is preferable to a false perception of supremacy. I no longer work in financial services; after 17 years, an offer of redundancy came up and I took it. I moved into freelance writing, then fiction, and Impostor Syndrome came along for the ride, though I find that self-employment helps mitigate the self-doubt; as any freelancer knows, nobody hires you just because it’s convenient or you’re next in line. So if any of this rings true for you, stop waiting to be unmasked – chances are, your boss already knows the real you, and that’s exactly why you’re where you are today. Bruce Springsteen spoke on The Late Late Show recently about going through periods of self-doubt; feeling like a “charlatan” and a “fake”. And even Sheryl Sandberg has said there are days when she wakes up feeling like a fraud, not sure she should be where she is – we are in good company. PS One final note on spelling: Impostor or Imposter – both are correct. This bothered me so I had to check. Now you don’t have to!